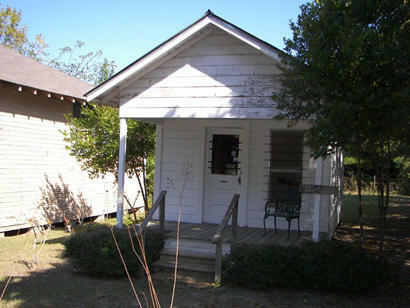 "The 1927 Post Office from Camilla now stands in the Old Coldspring townsite in Coldspring, TX"
The community appeared shortly after the Civil War. Mrs. Camilla Hardin Davis is the town�s namesake. A store was opened by one L. S. McMickin and a gin and a second store were owned by Jim McMurray. The gin put the town on the map, so to speak. A Farmer�s Alliance was formed and in the mid 1890s the town proved its importance by getting its own post office. Still, the population remained small. It had been estimated at 100 for decades. The population dipped in the mid 1960s to around 70. The three businesses that the town had had closed around the same time. 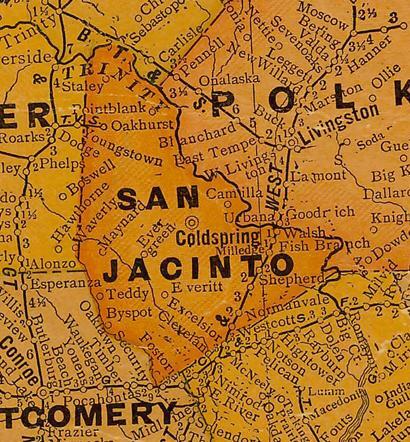 The estimated population of 70 has been in use since (according to the official TXDoT map).